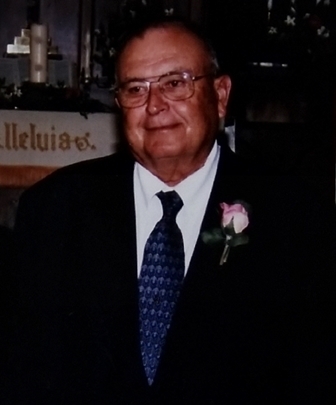 Ollen Brooks Varnell, 89, passed away Tuesday, March 26, 2019 at his home surrounded by his loving family. Funeral service will be held at 3:00pm on Friday, March 29, at Macclesfield First Christian Church with the Pastor Melissa Acres officiating. Burial will follow in Macclesfield Cemetery. The family will receive friends and relatives on Friday from 2:00-3:00pm at the church. Ollen was a lifetime farmer. He was also a charter member with the Macclesfield Fire Department. He was preceded in death by his parents, James Gray “Jimmy” Varnell and Maggie Wallace Varnell; sister, Margie Varnell Lewis Dilda; brothers-in-law, Van Ervin Lewis and William C. Dilda; and son-in-law, Howard Wright Stallings, Jr. He is survived by his family, including his wife of 71 years, Fredrica Webb Varnell; children, Ann Varnell Abrams and her husband, Arthur Allen Abrams, James Allen Varnell, Betty Jean Varnell Stallings, Michael Ollen Varnell and wife, Teresa Jefferies Varnell and David Brooks Varnell; grandchildren, Robin Abrams Cunningham and her husband, Tim Cunningham, Arthur Allen Abrams, Jr. and his wife, Elanah Sykes Abrams, Allison Abrams McKeel and her husband, Sherwood McKeel, Shannon Varnell Cambra and her husband, Billy Cambra, Howard Wright “Tre” Stallings, III and his wife, Courtney Kenner Stallings, Stephanie Varnell Marquart and husband Greg Marquart, Brandi Varnell Ellis and her husband, Ross Ellis, Cortney Varnell and Lauren Varnell; great-grandchildren, Eric O’Neal, Asher Jackson Abrams, Blake McKeel, Clay McKeel, Elijah Howard Stallings, Caleb Wright Stallings, Drake Marquart, Broc Marquart, Kianna Payton and Lorelei Brooks Spurling; great-great-grandchild, Colton Jackson McKeel. In lieu of flowers, memorial contributions may be made to the Macclesfield Fire Department, 104 South 3rd St., Macclesfield, NC 27852 or to the Macclesfield First Christian Church, P.O. Box 41, Macclesfield, NC 27852.